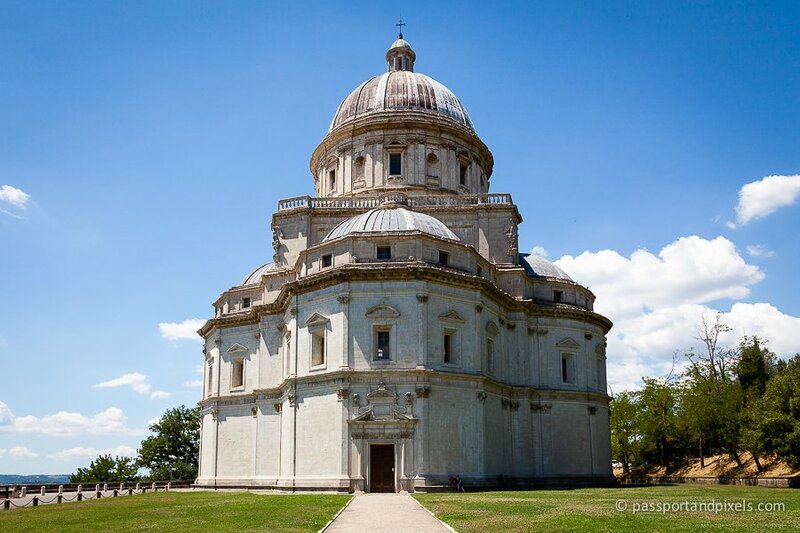 The majority of visitors to Italy make a beeline for the big-hitting, headline attractions: Rome, Venice, Florence, the Amalfi Coast… But if you want to avoid the crowds while still soaking up Italy’s gorgeous scenery, fantastic weather, and incredible cultural heritage, you could do a lot worse than ignoring the obvious top spots and heading to Umbria instead. 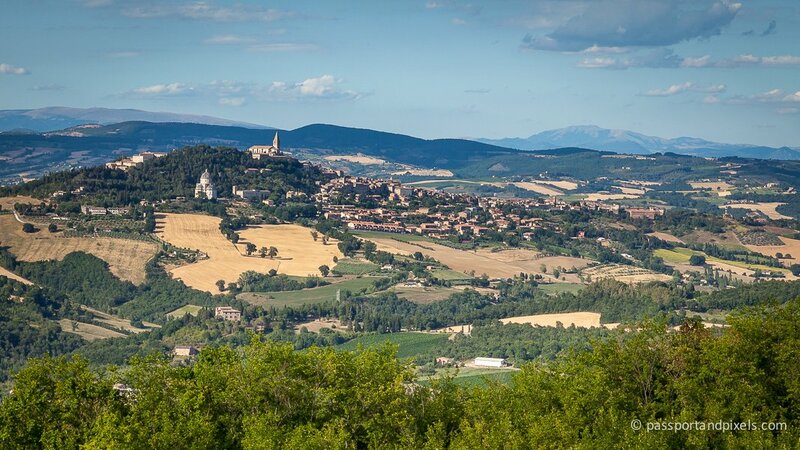 Umbria is slap bang in the middle of Italy, and is the only region that doesn’t have either coastline, or a border with any other country. It might not be as famous as other areas like Tuscany, home to Florence and Pisa, or Campania, gateway to the Amalfi Coast, Mount Vesuvius, and the island of Capri – but what it lacks in A-list status it more than makes up for in undulating landscapes, intriguing history and impressive architecture. 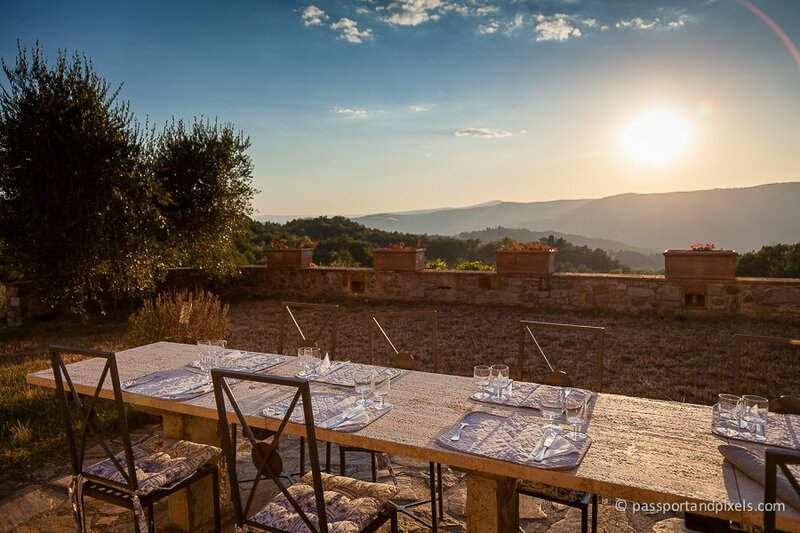 I went to Umbria in July for a family celebration. 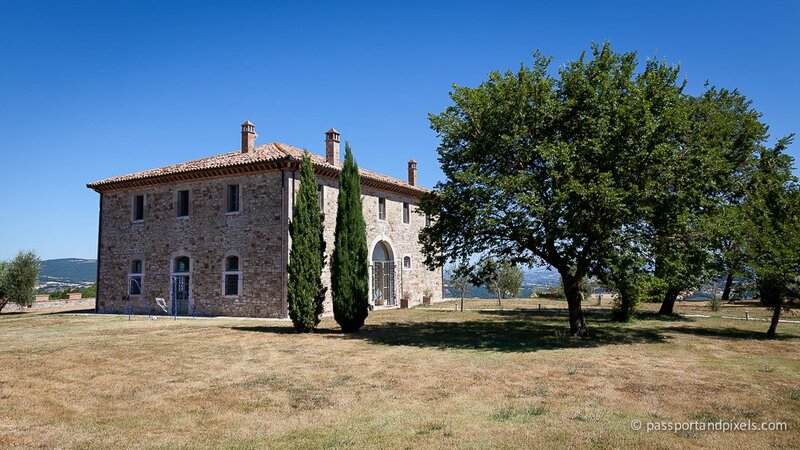 We spent a week staying at the imposing Villa Ceccomoro near the town of Todi. The house is on a hill, surrounded by rolling landscapes on two sides, which makes for a perfect spot for sunset drinks and dinner. We also had a pool, which was just as well. 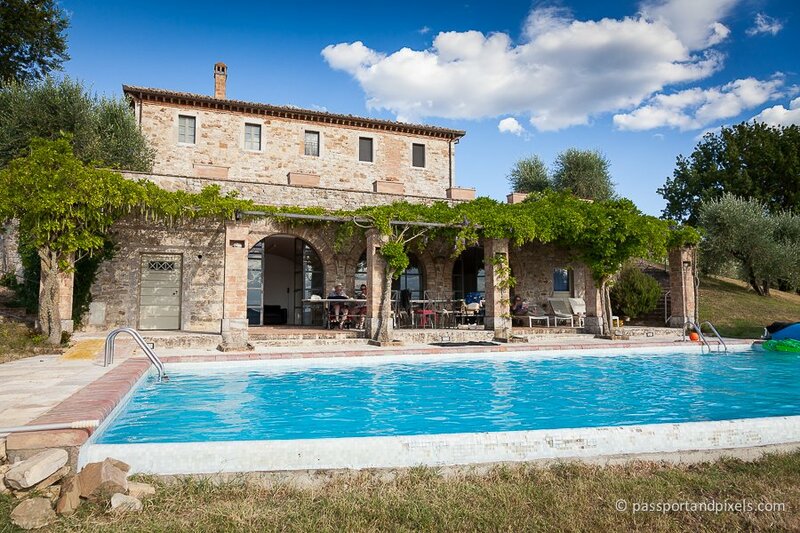 Umbria in July is hot! Temperatures pushed close to 35 degrees some days, and once even hit 38. Fortunately being on a hilltop meant there was usually a breeze, but you definitely need to remember to bring your factor 30. It’s a little remote, so you’ll need a car, but once you have one it’s easy to explore the area. Assuming, that is, that you’re happy to brave the Italian drivers! 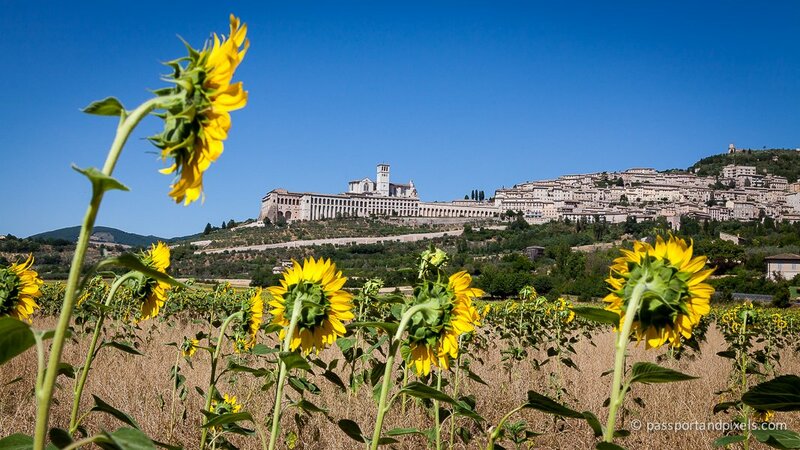 But it’s worth doing, because Umbria is chock-full of glorious ancient towns, like Orvieto, Assisi, and Todi. 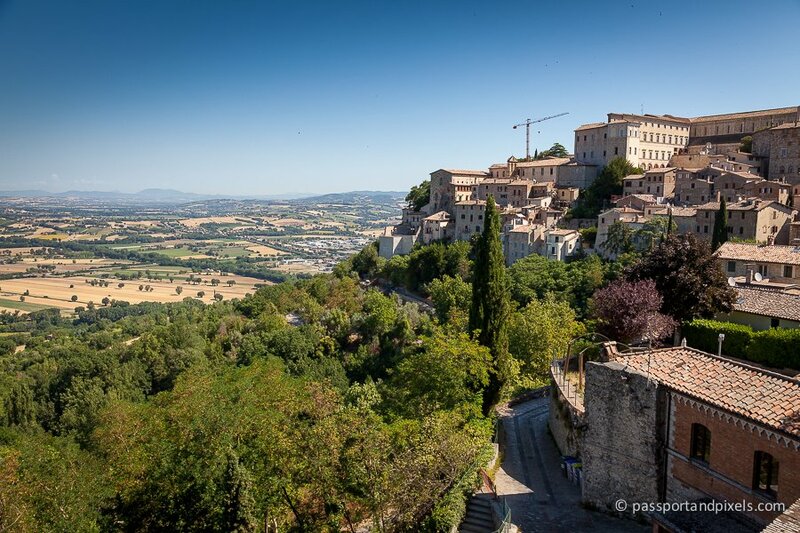 Like many of Umbria’s towns, Todi is perched dramatically on a hilltop, from where former residents in centuries gone by could easily defend themselves against any attackers. Now it looks like something from a fairytale. If you were going to design the perfect Italian town, it probably wouldn’t look too different from this. 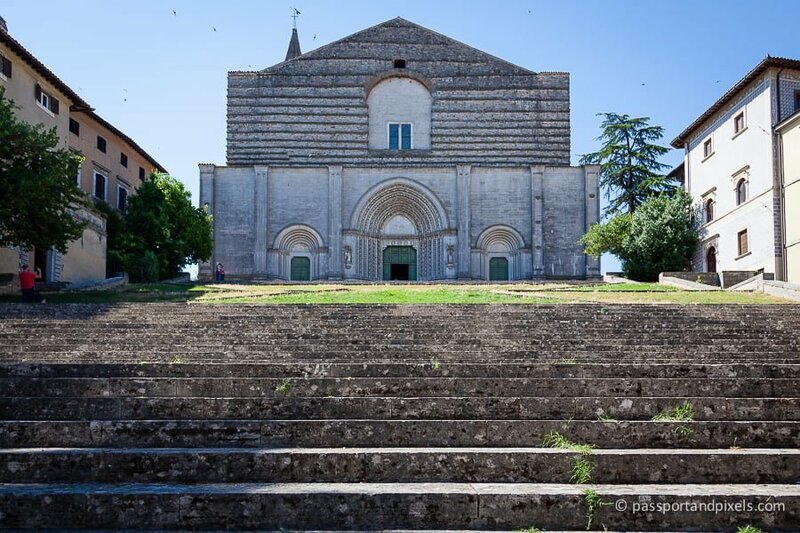 Todi is jam-packed with unspoiled stone houses, winding narrow streets, and dramatic churches, making it feel like a film set. Except sadly I didn’t see any movie stars. The town is clean, quiet, and well-looked-after. Apart from the cars, I imagine it doesn’t look all that different from how it did a hundred years ago. 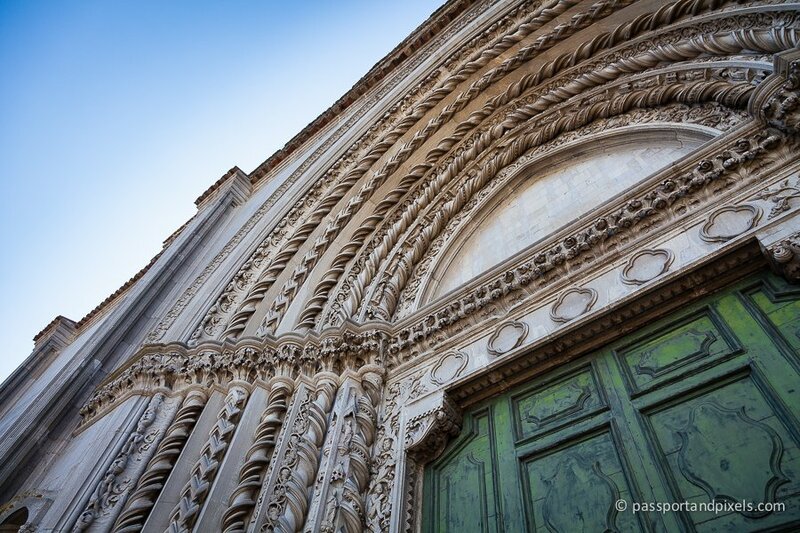 It’s easy to while away a couple of hours just wandering the narrow streets with a camera and finding stunning buildings and gorgeous details at every turn. And when you’re ready for a break, there are plenty of places to grab an ice cream. 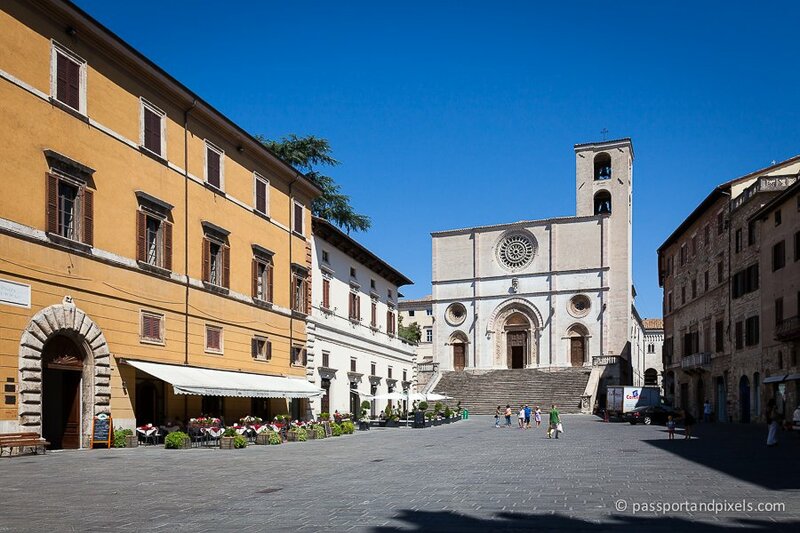 In fact according to Lonely Planet, one of Todi’s gelaterias sells some of the world’s ‘most perfect’ gelato. I’m not quite sure what qualifies it as ‘perfect’, but I tried a few different flavours and they were certainly very tasty. 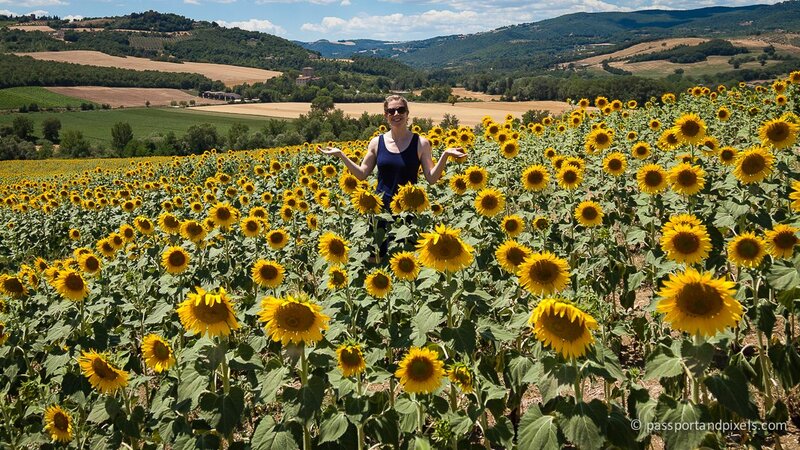 On the way back to the villa, we discovered something else that adds to the joy of Umbria: a sea of sunflowers. 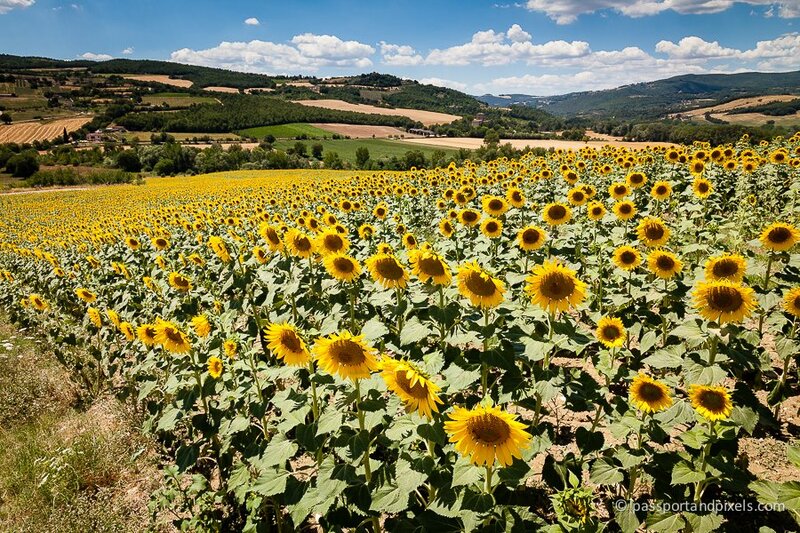 In fact driving round the region in July you’ll see fields of the cheery yellow blooms everywhere you go. Of course we couldn’t resist pulling the car over and going in for a closer look. I’m not Theresa May, and this isn’t a field of wheat, but is it still naughty?! 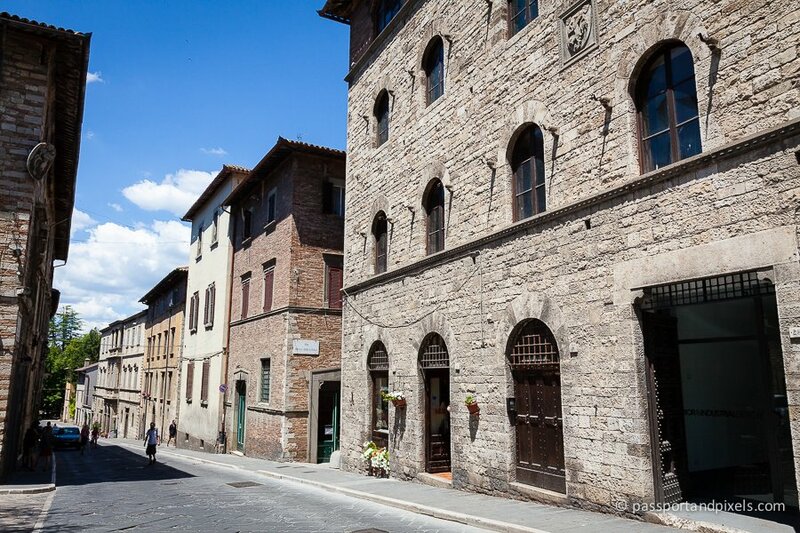 Our trip continued to Orvieto and Assisi. 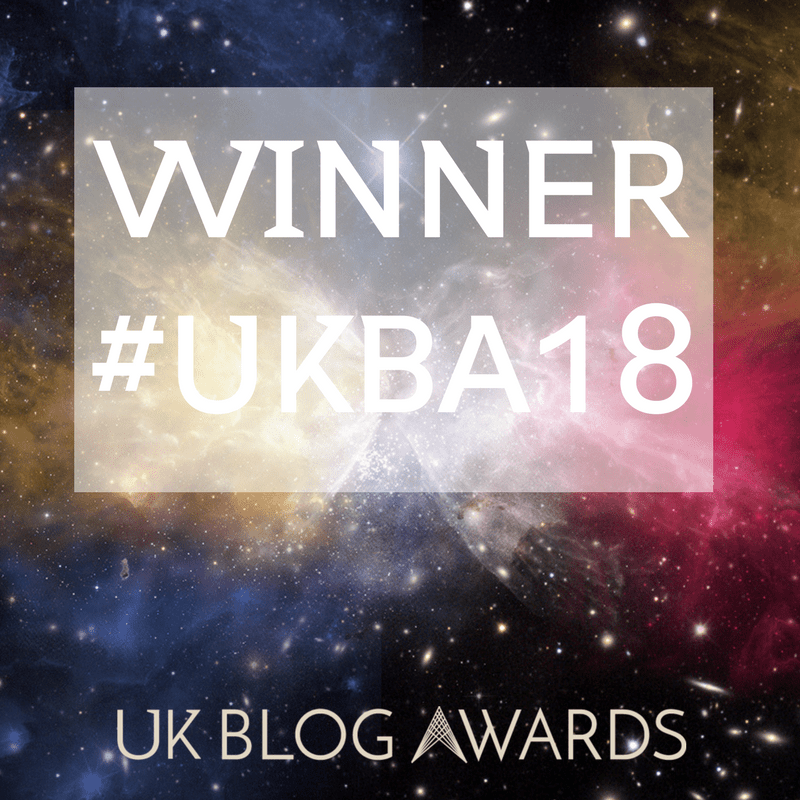 Click the links to carry on reading.